Multiplan Pathway College Lagos is an affordable and rounded preparation college for University entry. We are a premier access and tutorial college that provides pre university courses and qualifications for students who wish to enroll in home-based or foreign institutions of higher education. The college will manifest and establish core values of integrity, knowledge, support, opportunity and results. At Multi-Plan Pathway College Lagos (“the College”) we understand that starting higher Education – and, for some of you, living away from home – is both exciting and challenging. We strive to help students make the most of all opportunities offered by the Multiplan Pathway Programme. This will ensure that you study to the very best of your abilities and your time in the College is rewarding. The Multi-Plan Pathway Programme is designed for students who have completed high school education and who wish to progress to undergraduate study in the UK, US, Africa, Canada, Ireland, and Australia. The aim of the MPP is to equip students with a broad range of subject-related knowledge, higher level academic skills and key transferable skills in order that they become independent, self-directed learners and achieve the necessary academic standards to progress to undergraduate degrees at a number of MPC partner institutions. Our focus is always on our students who are the heart of everything we do. We are committed to helping students make the most of their time here. We have a faculty that comprises seasoned, qualified and dedicated teachers. With degrees from different institutions all around the world, our teachers ensure that they deliver quality content to our students. We have activities to engage our students in, outside the classroom. The students take part in Multi-plan Talks (Our very own version of TED talks) which build up presentation and research skills, Mind building sessions, such as debates, giving them a feel of the university experience. Our #FridaywithMPC Session brings in experts in different works of life to talk with the students. We understand that no two students learn the same way. To maximise learning, we have implemented flexible approaches to classroom learning. Classes can be taken full time or part time. Certifications are given after the completion of one or all of the following: Foundation Programme, Cambridge/Edexcel A’levels, A’level Programme in partnership with MPW college UK. A pastoral care unit that provides a range of support services for students. The school is structured in such a way that the students always have someone special nearby to talk to. The Staff adapt an open door policy so the students are welcome to meets with them at any time. We provide courses required for entry into universities in Nigeria, US, UK and other top universities around the world. Our students are academically equipped to meet the entry criteria for study destinations globally. .
Mary is a Law graduate of University of London (Holborn College), called to the Nigerian Bar in 1986. She has worked in Mobil Oil Nig. Ltd. as a legal officer in their Legal department and subsequently as a lawyer in a Private Law firm. 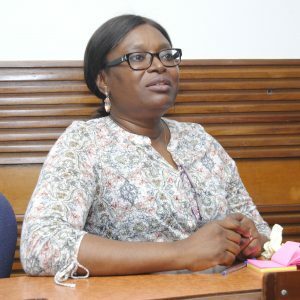 She subsequently made a career turn in the sphere of Education when she joined the Nigerian Association for Women’s Advancement (NAWA) as Company Secretary and worked on project coordination towards the setup of The Lagoon School for Girls. In 2004 Mary joined the British Council as the Learner support Manager with a countrywide budget responsibility for Education marketing. While at the British Council she was primarily responsible for Education UK Marketing, establishment of various networks (Agents network, Career Teachers network and English Language teachers Network) she organized in-country marketing visits from UK educational institutions and UK Education fairs. In October 2006 she was invited by Kaplan International Colleges to head its West African operations as the Country Director West Africa. She had the responsibility to set up the regional office in Lagos and manage the Sales and Recruitment market for Kaplan in the region. She developed and managed a staff team from 2 to 12 members and developed a marketing strategy for the regional market that recorded a consistent annual target goal achievement that saw the operations grow and the Kaplan Brand become strongly established in Nigeria, Ghana and Cameroon. She led her regional team to win the Best Overseas Kaplan Office Award presented by the UK Parent company. In October 2012 she proposed and was granted permission to initiate the establishment of a Pathway College in Nigeria. She was fully responsible for its set up in line with the global standards of the UK Kaplan Colleges. In 2014 she was awarded the prestigious Kaplan Global Leadership Award for leadership and innovation. As a member of the Kaplan Senior Management team, she travelled widely across the globe on various capacity building courses such as the Hawkesmere week long MBA as well as participation in organizational planning Events. She also made various Familiarization tours to new college set-ups, contributing immensely to corporate market planning. On 30th of June 2017, she took an early retirement as Regional Director Kaplan to establish a first Pathway and sixth form college in Nigeria – Multiplan Pathway College where she currently works as the Executive Director while still providing services as the Principal agent of an international Education Consultancy- The First Multiplan Consultants.